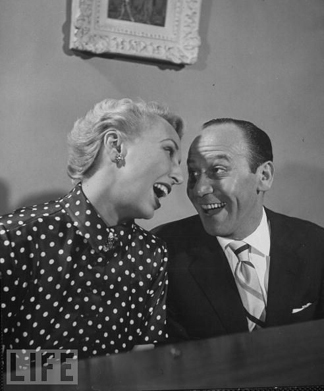 Loesser wrote the duet in 1944 and premiered the song with his wife, Lynn Garland, at their Navarro Hotel housewarming party, and performed it toward the end of the evening, signifying to guests that it was nearly time to end the party. Garland considered it “their song” and was furious when Loesser sold the song to MGM. 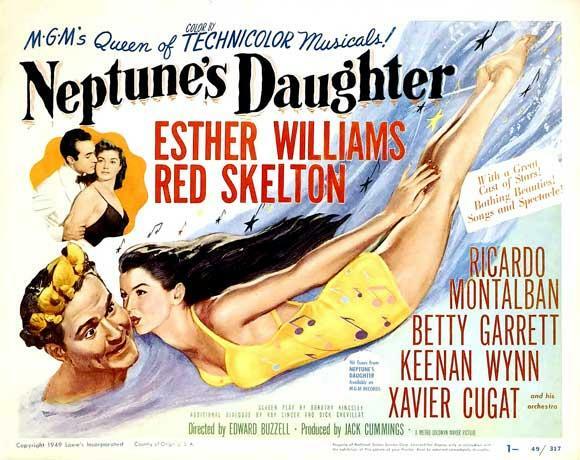 In 1948, after years of informally performing the song at various parties, Loesser sold its rights to MGM, which inserted the song into its 1949 motion picture, Neptune’s Daughter. 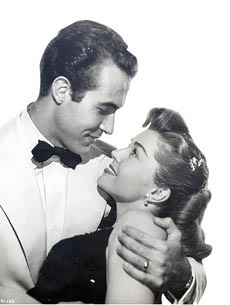 The film featured two performances of the song: one by Ricardo Montalbán and Esther Williams and the other by Red Skelton and Betty Garrett, the second of which has the roles of wolf and mouse reversed. These performances earned Loesser an Academy Award for Best Original Song. Dinah Shore and Buddy Clark — recorded on March 17 and released by Columbia Records. It first reached the Billboard Best Seller chart on May 6, 1949, and lasted 19 weeks on the chart, peaking at number four. Margaret Whiting and Johnny Mercer — recorded on March 18 and released by Capitol Records. It first reached the Billboard Best Seller chart on May 6, 1949, and lasted 19 weeks on the chart, peaking at number four. Don Cornell and Laura Leslie with the Sammy Kaye orchestra — recorded on April 12 and released by RCA Victor Records. It first reached the Billboard Best Seller chart on June 24, 1949, and lasted 10 weeks on the chart, peaking at number 13. Ella Fitzgerald and Louis Jordan — recorded April 28 and released by Decca Records. It first reached the Billboard magazine Best Seller chart on June 17, 1949 and lasted seven weeks on the chart, peaking at number 17. Esther Williams and Ricardo Montalban, recorded on April 7, 1949 released by MGM Records as catalog number 30197. Pearl Bailey and Hot Lips Page, recorded on June 23, 1949 released by Harmony Records as catalog number 1049. 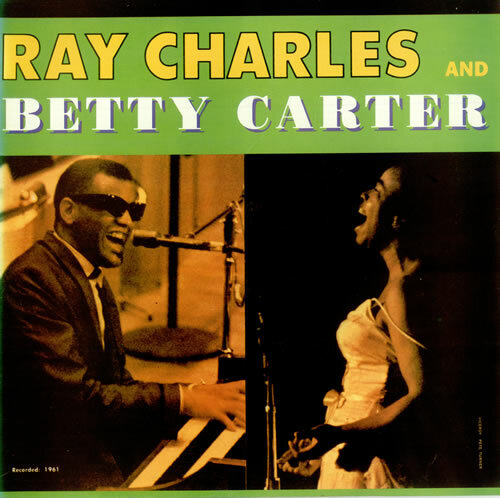 The 1961 Ray Charles/Betty Carter version is the only version that has charted on The Billboard Hot 100 singles chart (1958 to present); it peaked at # 91 in March 1962. This version was used in the 1990s on the program A Different World. 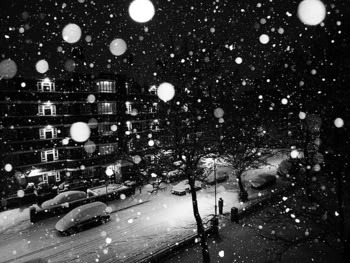 There’s also a recording of “Baby Its Cold Outside by Holly Cole (year? ), Tom Jones & Catatonia (year? ), Eddie Fisher & June ? (1955). Steve Lawrence & Eydie Gorme (1964), Vanessa Williams & Bobby Caldwell (1996), Lee Ann Womack & Harry Connick Jr. (2002), Leon Redbone & Zooey Deschanel (2003), Jessica Simpson & Nick Lachey (2004), Rod Stewart & Dolly Parton (2004) and Dean Martin (post mortem) & Martina McBride (2007). * Eddie Fisher (1955) — Not found. * Steve & Eydie — Onsite playing disabled by YouTube. * Leon Redbone & Zooey Deschanel (2003) — If I make a part 2, or “recent recordings” page, this might make it. The feature was already large enough by the time I got to this one. If a page is too large it will load slowly, and be difficult to maneuver about for the visitor. * Jessica Simpson & Nick Lachey (2004) — Jessica who? * Rod Stewart & Dolly Parton (2004) — There’s a 50/50 chance of this recording being used here: You give me $50 and I’ll leave it on the site for 50 minutes. * Dean Martin (post mortem) & Martina McBride (2007) — I have an allergy to post-mortem duets. Could “Junie” be June Christy? She seems about the right age and type of singer. I believe Fisher’s duet partner on “Baby, It’s Cold Outside,” is June Hutton. 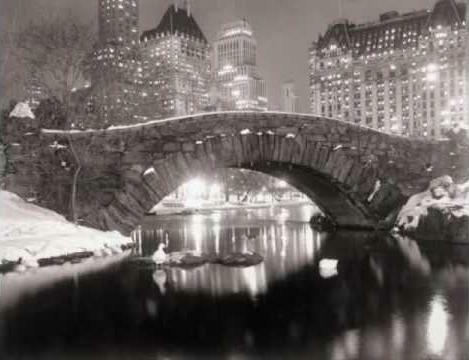 In 1951 she married Axel Stordahl, whose orchestra backs Fisher on the 1955 album Eddie Fisher Sings Academy Award Winning Songs, on which the Fisher duet recordings of “Cold Outside,” and “In the Cool, Cool, Cool of the Evening” appear.